How Many Patients With MS Are Using Marijuana? Marijuana use is on the minds of many patients with multiple sclerosis, a new survey shows. One quarter of them report having used it in the past to control their symptoms, 16% are current users, and a good many have discussed using it with their doctor, according to the survey, carried out by the North American Research Committee on MS (NARCOMS). 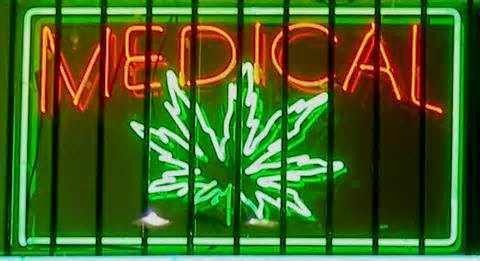 The results show that a large percentage of patients with MS are interested in the issue of marijuana, said Stacey Cofield, PhD, associate professor, Department of Biostatistics, School of Public Health, University of Alabama at Birmingham. "This can advance the conversation and perhaps assist with people who would be willing to enroll in clinical trials." Dr Cofield discussed their findings at the Consortium of Multiple Sclerosis Centers (CMSC) 2015 Annual Meeting). Researchers invited all 12,260 NARCOMS participants to complete an online survey in August 2014. To ensure confidentiality, the survey was anonymous and separate from the NARCOMS website and database. It was intentionally short — only about 25 questions — and took only a few minutes to complete. The response — 5665 patients with MS — was "fantastic," said Dr Cofield. About 78% of the sample was female, and the mean age was about 55 years. Their mean age at MS diagnosis was 37 years. Just under 50% of the participants said they live in an area where using marijuana is legal to some extent. This coincides with about half (26) of the US states and the District of Columbia now having laws allowing at least some medical marijuana use. Respondents were asked about their past and present use of marijuana in any form, including smoking it or using it in an oil or spray. They were also queried about whether they had spoken to their physician about using marijuana. About 25% of respondents said they have used marijuana for their MS, and 16% reported being current users, defined as using marijuana in the last 30 days. Their median use was 20 days per month but ranged from 5 to 30 days. Their preferred mode of administration is pill (47%) or topical (28%) form, with 22% each opting for an oil or smoking. Some 82% of survey participants indicated that they would consider using marijuana if it were legal in their state. Whether they have used it or not, more than a third have spoken to their physician about using marijuana. "There is a lot of talking about it in the news from a political standpoint, but patients, or the people living with MS, seem to be left out of the discussion," said Dr Cofield. "I think it's clear from our responses here that patients are willing to talk about it, even the patients who aren't taking it." Most people who have tried marijuana said it helped in at least one domain, for example, to control pain or spasms or to improve mobility, said Dr Cofield. She noted that only about 5% said it didn't help in any way. About 10% of respondents reported having progressive disease with no relapse history, with the rest having a relapse history. The researchers divided the relapsing-remitting patients into active (having relapsed within the last 2 years) and stable (not having had a relapse for at least 2 years).